The appearance of a mountain lion Tuesday near downtown Berkeley, Calif., caused a stir in this animal-loving, environmentally conscious community, where residents may obsess about locally grown organic food but don’t expect to be on the menu. The mountain lion, a 100-pound female, was spotted around 2 a.m. Tuesday in the city’s Gourmet Ghetto district, according to the Berkeley Police Department. The cougar roamed within pouncing range of Alice Waters’s Chez Panisse restaurant, the temple of California cuisine, where twice-cooked kid goat with cumin, ginger, eggplant, and chickpeas was the featured dish that evening. But the state’s top-level predator probably was on the hunt for venison and got lost, according to wildlife experts. “A mountain lion traveling through an urban environment is infrequent but looking at aerial photographs of the surrounding area you can see why it chose Berkeley,” said Marc Kenyon, the statewide mountain lion program coordinator for the California Department of Fish and Game. More than half of California is classified as mountain lion habitat by the Department of Fish and Game, which estimates there are between 4,000 and 6,000 of the animals in the state. California voters banned the hunting of mountain lions for sport in 1990. While reports of mountain lion sightings have been growing as human development expands into the animal’s habitat, Mr. Kenyon said the number of mountain lions actually is thought to be falling statewide due to a decline in deer population in some regions. Such encounters usually do not end well for the mountain lion, though. 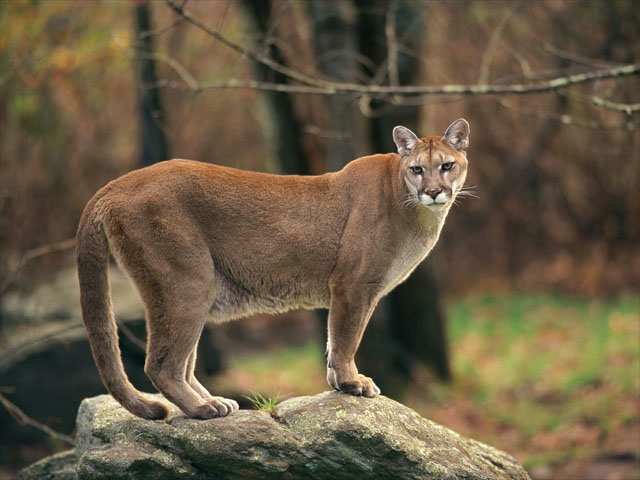 In Berkeley, police officers tracked the cougar as it ran through the surrounding residential neighborhood for an hour, jumping over fences from backyard to backyard. According to news reports, an officer shot and killed the animal at 3:30 a.m. The incident unleashed a Berkeley-style debate on Berkeleyside, a local blog, over whether the mountain lion should have been killed.